Our friend Richard McKay from McKay Flooring in Glasgow, Scotland made the headlines with their work on the herringbone floors at the Scottish National Portrait Gallery in Edinburgh. 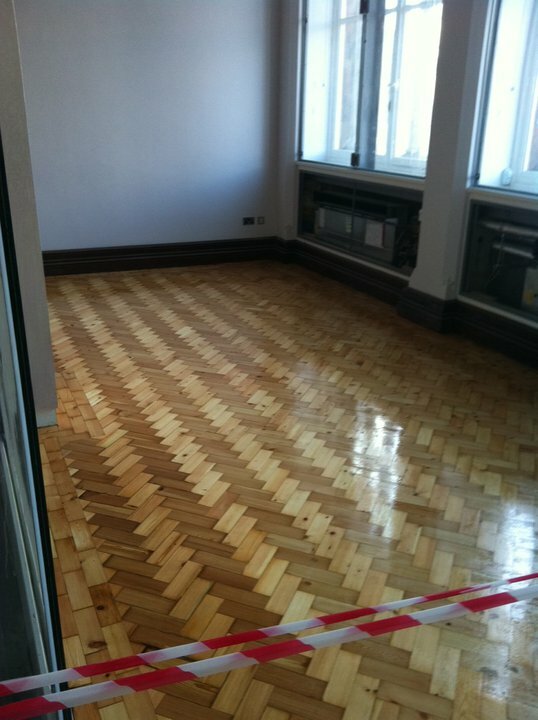 The project involved sanding and refinishing 20,000sqft of oak herringbone and pine and maple finger block parquet. BBC caught a glimpse of Richard’s project in process.